MM Guineas favourite Native Soldier will have a testing gallop after recovering from lameness. A midweek track gallop will determine whether Magic Million Guineas favourite Native Soldier will be fit to make the trip to the Gold Coast. 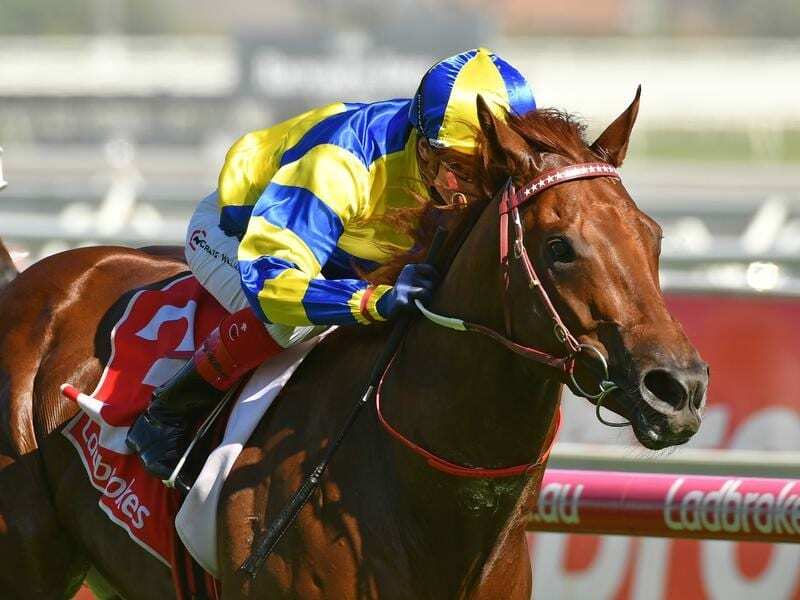 Native Soldier pulled up lame and was suffering heat stress following his win in the Christmas Stakes at Caulfield on Boxing Day with his trainer Darren Weir blaming the firmness of the track. “It’s very simple, very simple,” Weir said. “They should be a dead four the whole day. If it gets to a good three late in the day that’s OK but it was getting to a good two the other day. “It’s no good, no good, and it’s across the board. Weir said Native Soldier was now over the problem that threatened to derail his quest for the $2 million race at the Gold Coast on January 12. “He’s good. He was a bit scratchy but he’s back in full work again now and he’ll have a gallop on Wednesday,” Weir said. “There’s nothing wrong with him structurally from a vet’s point of view. Providing Native Soldier pulls up well from Wednesday’s hit-out he will join Saturday’s Moonee Valley winner Yes Yes Yes and Platinum Angel for a final gallop at Terang on Monday week before travelling to the Gold Coast. Native Soldier is the $3.60 favourite for the Magic Millions Guineas while Yes Yes Yes shares the second line of betting at $5.50 with Dubious for the $2 million 2YO Classic. Platinum Angel, who pulled up lame in a hind leg when fifth behind her stablemate in the Christmas Stakes, is set to run in the Magic Millions Fillies & Mares. Weir said while presenting firm tracks may appease punters it did nothing for the longevity of a horse’s career. “They will run a career best on a good two and never do it again,” he said.